The website "UM and Global" is offering a series of posts by United Methodist professors on the mission document of The United Methodist Church, Grace Upon Grace. In this post, Dr. Luther Oconer of United Theological Seminary reflects on this document, and particularly on what he calls the "synergistic nature of God's grace." I commend it to your reading. Young people will not save the church. Bible study will not save the church. Leadership will not save the church. Being missional will not save the church. Being more conservative, progressive, or evangelical will not save the church. Nothing we can do, in and of ourselves, will save the church. We don’t need to save something that is eternal, and the Church is eternal. So, now that we have that out of the way…. The UMC is in a state of numeric decline in North America. The UMC is not the Church. It is a group of churches (lowercase “c”), and its future is not secure. There is, moreover, only one authentic solution to the decline of the United Methodist Church in North America: the person, power, and work of the Holy Spirit. There might be programs of some kind or another that will cause us to increase in numbers temporarily, but unless our life together is animated by the person, power, and work of the Holy Spirit, we’re done for. It is by God’s presence in the Church that we become real evangelists, reaching out to young, old, and all in between. It is by God’s presence that the Scriptures come alive for us and lead us more fully into salvation. It is only by God’s presence that the right kind of leaders emerge, leaders who are animated not by their interests, but by the holy volitions of God. Our mission, our worship (however it looks), and all else we do must be led by the person, power, and work of the Holy Spirit. Along these lines, I recommend reading Minding the Good Ground: A Theology for Church Renewal, by my friend and colleague Jason Vickers. Therefore, within the UMC, our primary task should be to pray, asking the Holy Spirit to be powerfully and abundantly present in our midst. We should ask God to make us ever more faithful hearers, proclaimers, and doers of the Gospel. We should ask that God would give us a spirit of humility and selflessness, and that we would come to recognize our radical dependence upon God for all things. As a seminary dean, these thoughts inevitably lead me to think about the matter of theological education. If we are utterly dependent upon the power and presence of God for our life in the Church, what should we be training our ministers to do in seminaries? It follows that the primary task of a seminary should be to teach ministers about the various means handed on to us by the Church of knowing God. The study of Scripture, whatever else it is, should be a means of knowing God more fully. The same could be said of courses on worship, sacraments, and pastoral care. Theology courses should be intellectual and prayerful engagement with God’s self-revelation as disclosed in Christ, Scripture, and tradition. In other words, seminary education should lead pastors more fully into the life of God so that they, in turn, may invite and guide others into the life of God. I don’t know how many times I’ve heard people jokingly call seminary “cemetery.” In fact, I once heard a speaker accidentally do this and she never realized her error. (Yes, I face-palmed.) A seminary, though, should be a place we associate with spiritual life, not spiritual death. It should represent education whereby our future ministers are drawn ever more deeply into the faith that God has given us through the Church. Seminary education should be a means through which people encounter the Holy Spirit. With the Holy Spirit, after all, there is life, the one true life that lasts forever. Megyn Kelly of Fox News apparently thinks that Jesus was white. Yes, this is a rather unsophisticated claim, but not particularly surprising. It's probably the case that all, or almost all, of the images of Jesus she has encountered depict Jesus as having European features. This is the most common representation of Jesus' ethnicity in European and North American art. Should a national news persona be more informed than this? Yes, but, again, it isn't surprising that she wasn't. In the early years of the twentieth century Albert Schweitzer wrote Von Reimarus zu Wrede, which came to be called in English The Quest of the Historical Jesus. The book surveyed about a century of scholarship on Jesus and then put forward Schweitzer’s own Jesus who was characterized by what he called “thoroughgoing eschatology.” In this work, he argued that from the various accounts of the historical Jesus we learn more about the scholars who produce the accounts than we do about Jesus himself; scholars tend to produce accounts of Jesus that reflect the scholars’ own values. This is no less the case in our own time than in Schweitzer’s. As Kelly’s comment demonstrates, it is not simply biblical scholars who re-create Jesus in their own image, but artists, actors, preachers, and virtually anyone else who has an interest in Jesus’ portrayal. Forensic scientists have produced an image that might actually be somewhat historically accurate, but, then again, we really can’t know. If you’re not familiar with this image, visit Matt O’Reilly’s blog site and see his post on the “Popular Mechanics” Jesus. The characteristics of the brave man are stiff hair, an erect carriage of body, bones, aides and extremities of the body strong and large, broad and flat belly; shoulder-blades broad and far apart, neither very tightly knit nor altogether slack; a strong neck but not very fleshy; a chest fleshy and broad, thigh flat, calves of the legs broad below; a bright eye, neither too wide opened nor half closed; the skin on the body is inclined to be dry; the forehead is sharp, straight, not large, and lean, neither very smooth nor very wrinkled. Physiognomic thinking was quite common in the Greco-Roman world. It was not simply the property of educated elites, but a mindset that permeated the culture. It appeared in both official biographies of emperors and popular novelistic biographies, such as the Life of Alexander. So why, then, did the tradition fail to pass down through the evangelists any physical description of Jesus? I might, however, suggest that perhaps Jesus did not fit the common physiognomic ideals of his day, and therefore traditions about his physical appearance were not preserved. Perhaps the evangelists were influenced by Isaiah 53:2: "he had no form or majesty that we should look at him, nothing in his appearance that we should desire him." It could also have been that there was a current of anti-physiognomic thought in early Christianity. Mikeal C. Parsons argues that in Luke-Acts one sees an intentional subversion of physiognomic conventions (see his book, Body and Character in Luke and Acts: TheSubversion of Physiognomy in Early Christianity [Baylor, 2011]). Whatever the reason, however, I thank God that there is no physical description of Jesus in the Bible. Such a description would inevitably lead to one group claiming favor over another based upon physical characteristics. Christ is available to all people equally, and no group should claim any special privilege over another. However Jesus may have looked, the evangelists did not feel that this was what was important to say about him. Rather, they wanted us to know that in Jesus, God brought truth, life, and redemption. Whenever we put proprietary claims on Jesus, we shift the focus away from the biblical witness of him and make an idol of our own cultural values. He becomes a canvas upon which we paint our own ideals. Schweitzer said of Jesus, “He comes to us as One unknown.” How true that is, and in so many ways. If you live in the world of social media at all, you are probably aware that about three weeks ago Mark Driscoll was accused of plagiarism. Andy Crouch has written an article in Christianity today called “The Real Problem with Mark Driscoll’s ‘Citation Errors’ (And It Isn’t Plagiarism).” Apparently, he feels the real problem is ghostwriting. No, sorry. It’s plagiarism. At least, that’s one real problem. When a work is ghostwritten, a person agrees to write in the voice of another and allow his or her work to be used without attribution. Plagiarism is exactly the opposite. It is the use of another’s work without permission or attribution. The other real problem, however, is that Driscoll is an outspoken cultural critic and teacher of a particular brand of morality that he styles as Christian. (See for example, this article in the New York Times, "Who Would Jesus Smack Down?".) This is why people are so angry. He points fingers. He acts as God’s ethical spokesperson, and the image of God he represents is particularly rigid. His rhetoric sounds mean-spirited at times. Many faithful Christians find Driscoll’s ideas, especially around gender roles, deeply troubling. This persona creates a large target in public discourse. It’s one thing to teach Christian morality. It’s another to speak and act with such little charity. The furor around Driscoll’s “citation errors” may be a tempest in a teapot, but it is a tempest born of the unkindness of his rhetoric. Executing people with intellectual disabilities is bad (and other obvious ethical claims). After the decision, most states stuck with the three-pronged clinical definition, but Florida, Georgia, Mississippi and Texas set their own standards. Under Florida’s law, if you have an IQ over 70, you’re eligible for execution regardless of intellectual function or adaptive behavior. The Supreme Court may create a more standardized nationwide criteria. I’m glad that there are laws protecting the intellectually disabled from execution. It shouldn’t take an act of the Supreme Court, however, to prevent states from setting such minimal standards. I once heard it said that the way in which a culture regards and treats people with disabilities reveals a great deal about its collective ethical character. I think this is true, and I fear that by this standard the ethical character that we display in the U.S. needs a serious upgrade. Roger E. Olson: Is Process Theology a Viable Alternative to Christian Orthodoxy? For decades, process theology dominated United Methodist theological education, and was prominent more broadly in mainline Protestant theological education. 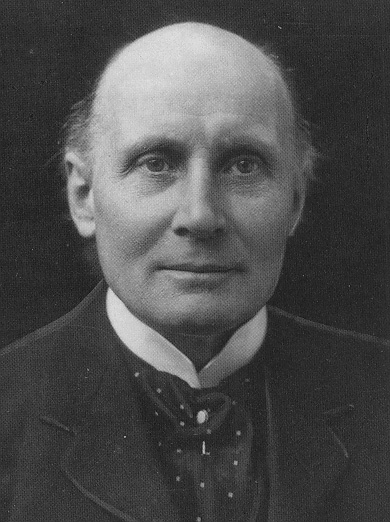 It involves a complicated metaphysical system based upon the philosophy of Alfred North Whitehead (pictured left). Thinkers such as Marcus Borg demonstrate extensive dependence on process thought (see his book, The God I Never Knew). In this article, Roger E. Olson explains some of process theology's serious liabilities. I commend it to your reading. I've said it before and I'll say it again: it is unacceptable for the value of human lives to be reduced to some notion of functionality. One rarely hears explicitly that the lives of the able-bodied and able-minded are more valuable than the lives of people with disabilities, but the idea is unquestionably "in the soup" of Western culture. It is deeply troubling to see this idea working itself out within our medical establishment. Please read this article on CNN describing the struggle of parents to save the life of their child, a child whose level of adult ability is yet undetermined. Sometimes Christians, with all of the best of intentions, tell us that if we are sad, if we lose our joy, it is somehow a lack of faith. This claim is wrong. Sometimes we are sad, angry, or hurting because we are Christians, because we know how the world should be and we contrast that to what is actually going on. Don’t we sense righteous anger in the prophetic literature? Don’t we sense the pain the psalms of lament? Remember Jesus weeping over Jerusalem, and Paul saying, “I have great sorrow and unceasing anguish in my heart” because most of Israel has rejected her Messiah (Rom 9:2)? Being a Christian doesn’t mean that you don’t move through the range of life’s emotions, but that sadness is not the endgame. Sadness and pain are real, but they are never absolute. Remember Paul’s words to the Corinthians, “We are afflicted in every way, but not crushed; perplexed, but not driven to despair; persecuted but not forsaken; struck down, but not destroyed; always carrying in the body the death of Jesus, so that the life of Jesus may also be made visible in our bodies” (2 Cor 4:8-10). Because we bear Christ within us, we have hope. And that is what Advent is all about: the promise and hope of a redeemer. Christ is the redeemer of all creation, and to know Christ is to have hope. As we welcome Christ into the world in this season of Advent, we do so as people who live in the hope of redemption. Do not faint from fear and foreboding, for if you know Christ, you have hope. Today I’m grateful for the faith of the Church. I’m grateful for this narrative of salvation in which the God of all creation became human out of love for us, was born of a virgin, and taught us how to live. This very God died on the cross in an act of atonement for the sinful rebellion of humankind, and after three days rose from the dead. God abides with us through the Holy Spirit, who teaches and sanctifies us, forming us into the kind of people we were created to be. In due season, Christ will come again, and we will live with God forever in the resurrection. I’m grateful, moreover, for my colleagues at United who take this narrative so seriously, who have given their life and work over to the guidance of the Holy Spirit, and who have dedicated and rededicated themselves to the training of spiritual leaders for the renewal of the Church. I’m grateful to be part not just of a school, but a movement, a worshipping community, and a community of theological friendship. God has brought a very special group of people together at United. It’s easy to miss these blessings in the midst of day-to-day work, but I’m grateful for you, friends, as we seek communally to be faithful to the leadings of the Holy Spirit.